Advocacy Guide (2016) This comprehensive guide describes advocacy and the Virginia legislative process and gives specific instructions on how to communicate with elected officials. Public/Private Partnerships Preschool Profiles (2015): Profiles of two Northern Virginia communities that have established partnerships between public school systems, local human services agencies, and private early care providers to expand access to the Virginia Preschool Initiative. Early Childhood Education is My Priority Election Tool Kit (2015): A handout with quick facts and useful questions to use with candidates running for office. Federal Support for Early Learning in Virginia (2015): A handout explaining federal grants in Virginia for hill visits with Congressional representatives. Research Synthesis and Briefing on Early Childhood Education in Virginia (2013): Slides and notes from a series of briefings on the reach of early childhood education programs. Making Improvements to the “Former Foster Youth” Medicaid-To-Age-26 Eligibility Category (2015): Recommendations for reforming Virginia’s implementation of the ACA provision to extend Medicaid eligibility to youth aging out of foster care. A Portrait of Virginia’s Child Welfare System (2011): The report highlights Virginia data on child maltreatment and foster care, including data on children in care with disabilities, as well as racial disparities in Virginia’s foster care system. In 2008 and 2009, Voices, the Virginia Poverty Law Center, FACES of Virginia Families, and ART 180 hosted VOICES for Change, an art initiative to amplify the voices of youth in foster care. Download the compilation of all the 2009 submissions. Download the compilation of all the 2008 submissions. Mental Health in Virginia: Deficiencies and Unknown Outcomes (2011): This report examines how children who face serious mental and emotional problems fare in Virginia. Virginians Speak Out (2010): The purpose of this report is to summarize citizen opinion on the current state of children’s mental health services in Virginia. Federal Choices Threaten Health Insurance for Virginia (2017) Looming changes to the Affordable Care Act (ACA), Children’s Health Insurance Program (CHIP), and Medicaid create a perfect storm for children in the Commonwealth. 2018 Opening Doors for Young Parents Report: This report reminds policymakers and child advocates of the barriers that young families face. It examines national and state-level trends — highlighting areas of opportunity and concern — and then shares potential solutions that can help these families thrive. 2018 Regional and Statewide Infographics: Each infographic represents a region of the commonwealth and gives a snapshot of how children are faring in both the region and its localities. The statewide infographic allows you to look at how children in your area are faring compared to children in the commonwealth as a whole. Young KIDS COUNT on the Eastern Shore of Virginia (2018): An in-depth look at child well-being on the Eastern Shore (Accomack and Northampton) by Dr. William O’Hare. 2017 Race for Results Report: Building a Path to Opportunity for All Children: In this KIDS COUNT policy report, the Annie E. Casey Foundation explores the intersection of children, opportunity, race and immigration. The report features updated data for the Race for Results Index, which measures how children are progressing on key milestones by race and ethnicity at the national and state levels. The Future of Virginia Starts Today 2017 Election Guide is a powerful tool that can be used by organizations and individuals for voter education and advocacy. It features several elements that provide talking points, data and useful information on the issues that affect Virginia’s children the most. UMC Greater Richmond Presentation on Race, Place, & Poverty This presentation was given in February 2017 to the United Methodist Church’s Richmond Region Women’s Group. The presentation touches on a variety of indicators in the context of place, race, and poverty. 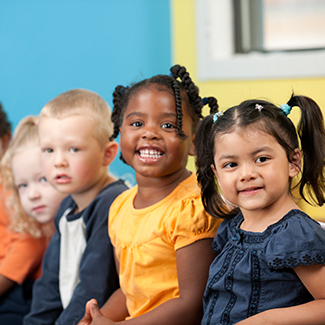 Status Report – Child Well-Being in VA (2013): This policy brief provides an update on progress and unfinished business in promoting the well-being of Virginia’s children. It addresses the question: How are Virginia’s Children? A Guide to Understanding and Using Data for Effective Advocacy (2011): A resource guide for child advocates to promote data-driven public policies and programs. This Guide offers a user-friendly introduction to statistical concepts.